My sister gave me this pan for Christmas and I love it! 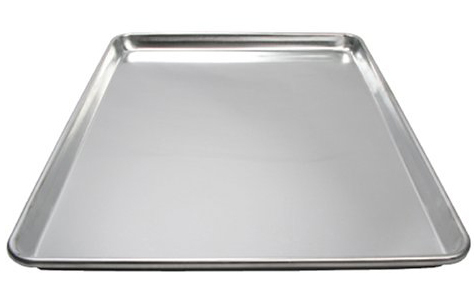 It is a cookie sheet that is not your standard size cookie sheet, the standard size cookie sheet is 12X17 (called a half sheet), this pan is 16X22 so it’s quite a bit larger but still fits in your standard oven no problem. 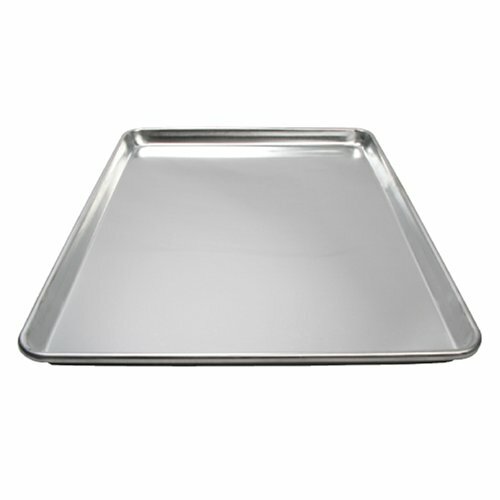 It is amazing for large pans of rolls, potatoes, cookies, cinnamon rolls, veggies, you name it, it will cook more of it. It’s so nice to cook a larger quantity while using the same pan. It’s great for large crowds or just when you need to cook a lot of something, something we do a lot in this house. Here is a link where you can buy it on Amazon, I think Cash and Carry also carries them as well.